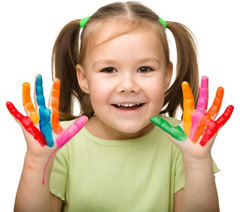 Child Play Therapy is based upon the fact that play is the child’s natural medium of self-expression. Our Clinicians use this opportunity to give the child the opportunity to “play out” his/her feelings and problems. Therapy is offered for children between the ages (3-12) years and is used to develop social skills, self-esteem, self-expression and to assist with psychosocial and adjustment difficulties. However, play therapy can be used with a person of any age especially an adult with cognitive and social deficits. ASANTE Family Agency offers both individual and group play therapy for children and their parent(s). The Clinician facilitates the play sessions based on the Child Centered Play Therapy model, which supports the emotional and developmental growth of the child and helps to strengthen and nurture the parent/child relationship.